Recycling myths busted: what can you actually recycle? 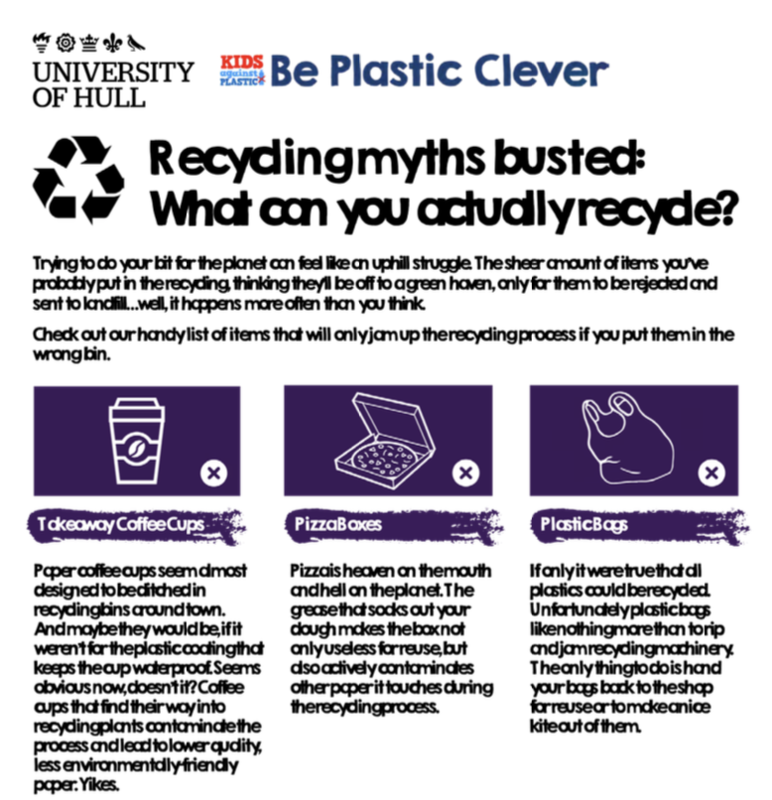 There are many myths about what can be and what is (two very different things) be recycled - this resource from Hull University busts some of those myths. 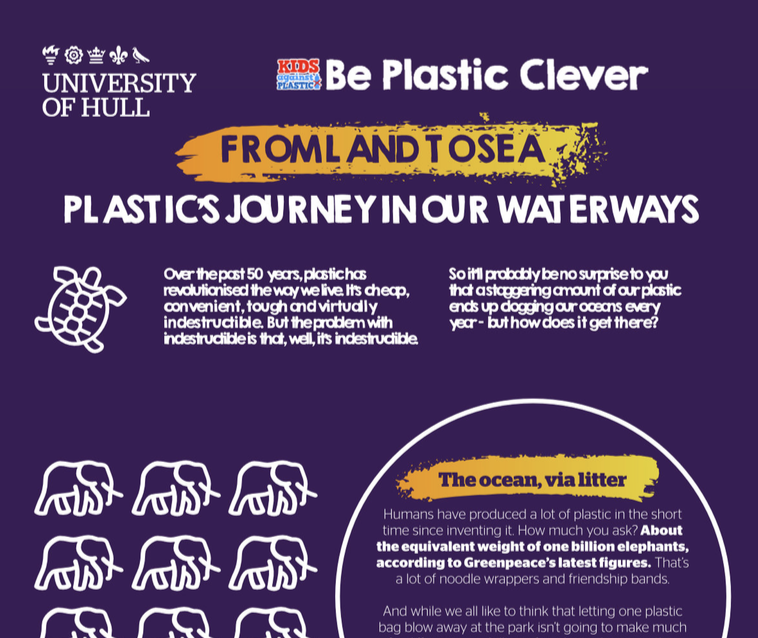 A very informative infographic about our relationship (reliance) on plastic and the realities of where and how it ends up in our environment. We occasionally send out a newsletter to share competitions, events and err, news. If you'd like to receive it, please fill in your email address. We promise not to spam you or share your details with others. © 2019 Kids Against Plastic. Get in touch! We’d love to hear your thoughts.